JOHANNESBURG, July 1, 2010 (AFP) - FIFA on Thursday said France's government was not guilty of interference in the national football team, after former coach Raymond Domenech and ex-president Jean-Pierre Escalettes were quizzed by politicans. "I have no information claiming that what happened yesterday (Wednesday) constituted governmental interference in our eyes," said FIFA spokesman Nicolas Maingot at his organisation's daily press briefing. "FIFA will continue to follow this matter with all due attention." 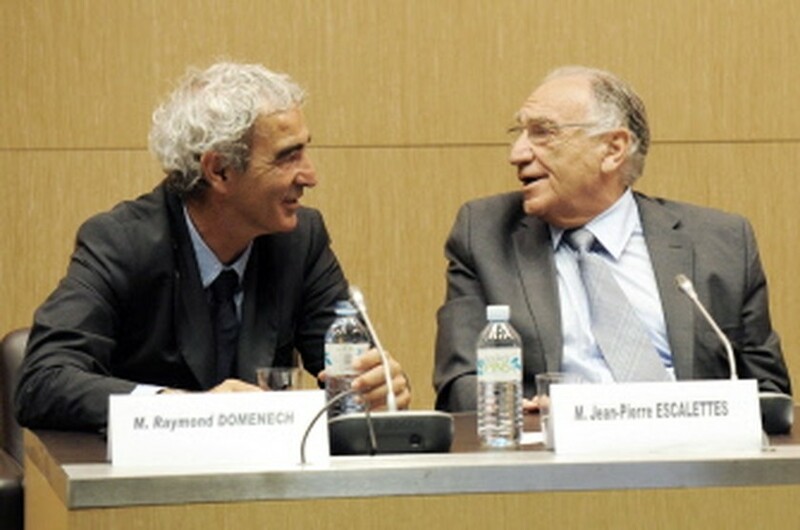 Domenech and former French Football Federation (FFF) president Escalettes on Wednesday addressed a hearing of the National Assembly's Cultural Affairs commission, called to discuss the team's disastrous World Cup showing. FIFA president Sepp Blatter on Tuesday warned the French government against any meddling in football affairs and said government interference could result in the FFF being suspended from FIFA. Following France's elimination at the group phase in South Africa, Sports Minister Roselyne Bachelot opined that Escalettes' resignation was "inevitable". He announced his resignation on Monday. Maingot added that FIFA had been made aware of Nigerian president Goodluck Jonathan's intention to withdraw Nigeria from international competition for two years after they, too, were knocked out at the World Cup group stage. "I can confirm that we have been officially informed," he said, before adding that FIFA would study the case before deciding if sanctions were necessary.